We examine the army's role as protector, aggressor and peacekeeper from the British Civil Wars to the modern day. Through our collections we preserve and share stories of ordinary people with extraordinary responsibilities. We explore the role of the army and its relevance today. We aim to be a first class museum that moves, inspires, challenges, educates and entertains. The National Army Museum is a fun, interactive space for all the family. Our engaging museum experience reaches out to all. We want to connect the British public with its army, regardless of age, gender, race and religion. The National Army Museum is for everyone, no matter what they think about the British Army. We showcase the breadth and depth of our collections in new and engaging ways. We explore thoughts and ideas as well as real stories of real people. And we challenge the way people think about the British Army and their relationship with it. Soldier gallery looks at what it's like to serve as a soldier. From joining up as a new recruit to coming home, it explores soldiers' experiences through their own words and often surprisingly personal objects. Army gallery addresses fundamental questions such as 'Why do we have an army?' It explores the origins of the army in the chaos of the British Civil Wars, its major role in the political development of the country and its impact on global history. Society gallery brings together objects and stories that tell us about our relationship with the British Army. It explores the army as a cultural and military force that impacts on our customs, technologies and values. Battle gallery demonstrates how the British Army fulfils its most challenging task – fighting battles. It covers the entire history of the army at war, from the 17th century to the present day. Insight gallery explores the actions and the impact of the British Army throughout the world from historical and contemporary perspectives. On 30 March 2017, the National Army Museum unveiled its dramatic transformation following the three-year £23.75 million re-development, including £11.5 million from The National Lottery. 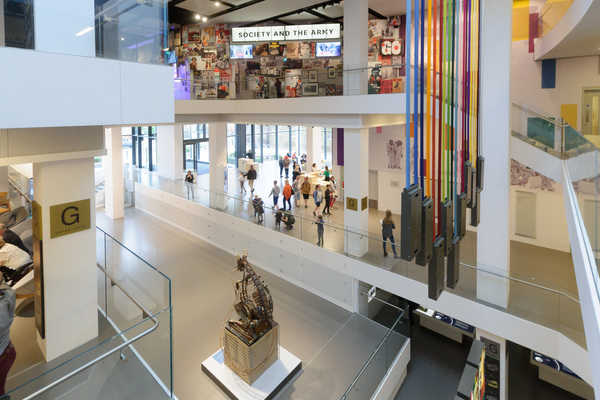 Designed with architects BDP and exhibition design agency Event, the bright new Museum maximises access and engagement with the Collection, providing a 21st century visitor experience. 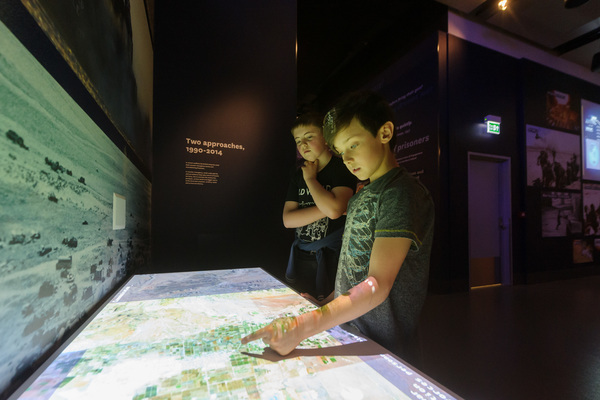 Aiming to be a bridge between the British Army and the public, the National Army Museum will encourage greater public engagement with ideas of defence and security, openly asking questions to visitors and displaying responses on large screens inside the Museum and on the website.